the vilafonte wine blog: Vilafonté invited to represent South Africa at the New York Wine Experience in October this year - nice! Vilafonté invited to represent South Africa at the New York Wine Experience in October this year - nice! The New York Wine Experience is a joyous three-day celebration of great wine. Only at a Wine Experience can you sit down and taste the world’s best wines guided by the estates’ owners and winemakers. You’ll enjoy outstanding vintages, rare wines from the producers’ cellars and top-scoring wines from around the world. 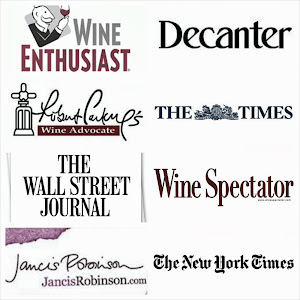 Our focus this year is on stars of the wine world. To highlight this we have planned a weekend program that will engage all of your senses while adding to your wine knowledge. Our goal is always to offer a program that will be educational for both novice and expert. Daytime seminars filled with unique wines from around the world, food and wine pairings from star chefs, a black-tie gala and more promise to make this event a favorite.